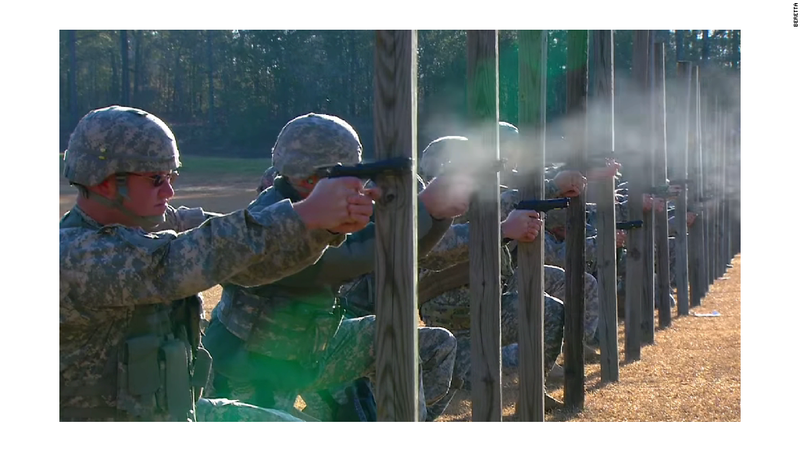 The U.S. Army is seeking a new gun. After about 30 years of using the Beretta as the primary sidearm pistol for the U.S. military, the Pentagon is seeking a new gun contract. For gun manufacturers, this kind of a contract is a once-in-a-lifetime opportunity. While the Beretta lasted three decades, the U.S. military's first semiautomatic standard-issue sidearm, the M1911 from Colt, lasted nearly 90 years. It was issued during the U.S. war in the Philippines through the World Wars to Vietnam and beyond. After 30 years with the Beretta M9, the U.S. Army is looking for a new standard-issue sidearm. No wonder manufacturers are already starting to line up. An Army spokesman told CNNMoney that a request for proposal for a new standard-issue sidearm is going out in January. Smith & Wesson (SWHC) and General Dynamics (GD) have announced that they are entering the M&P, a popular pistol, into the competition. Beretta told CNNMoney that it too is entering the contest. Any contract with the U.S. Army is a big deal, and not just because American soldiers will be carrying them for many years. But guns chosen by the military achieve cult status, used as iconic weapons in James Bond and other action movies, and become highly desirable among civilian gun owners too. 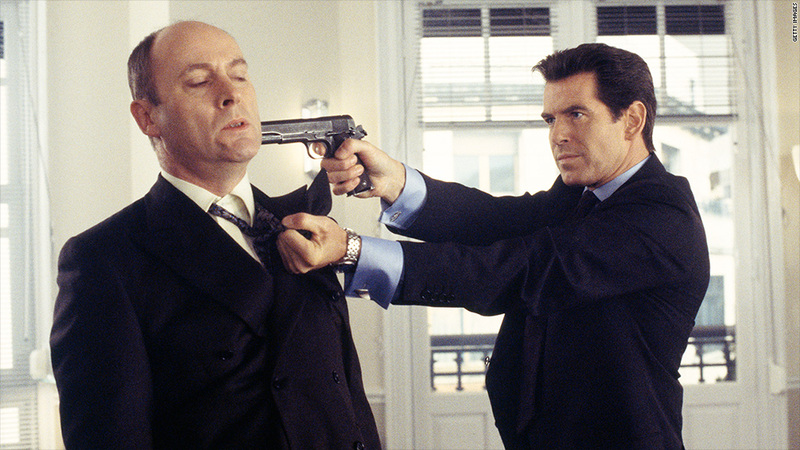 James Bond, played by Pierce Brosnan here, wields a Colt, used by the U.S. Army for 90 years. The Beretta M9, used by the U.S. Army since 1985, is manufactured by a 500-year-old Italian company, which has a factory in Maryland. 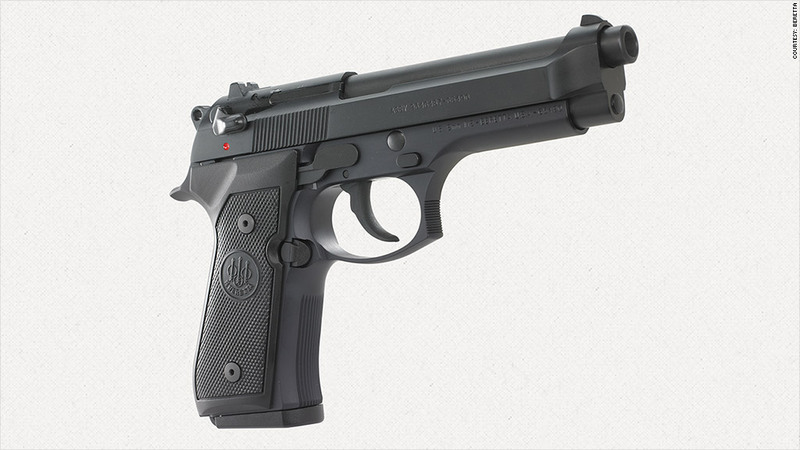 The Beretta was the "lethal weapon" in the 1987 box office hit action movie "Lethal Weapon." Gabriele de Plano, vice president of marketing military sales for Beretta, said his company has sold 600,000 M9s to the Department of Defense, mostly for use by the Army. It currently has a contract to sell 20,000 more. The aluminum-framed Beretta's main competitor has been the Glock, an Austrian-made, partially polymer pistol that went mainstream with its appearance in "Die Hard." The lightweight Glock revolutionized handguns, with its innovative design using polymer, or plastic, in the handle and frame, instead of metal or wood. The Glock has since become one of the most popular handguns used by cops, as well as civilians. The Army has not specified whether it wants these lighter plastic-framed handguns. But it already made that switch for rifles during the Vietnam War, when it swapped its heavy wood-and-metal M-14 for the mostly plastic M-16, and eventually switched to an even lighter and more compact rifle, the currently-issued M4. 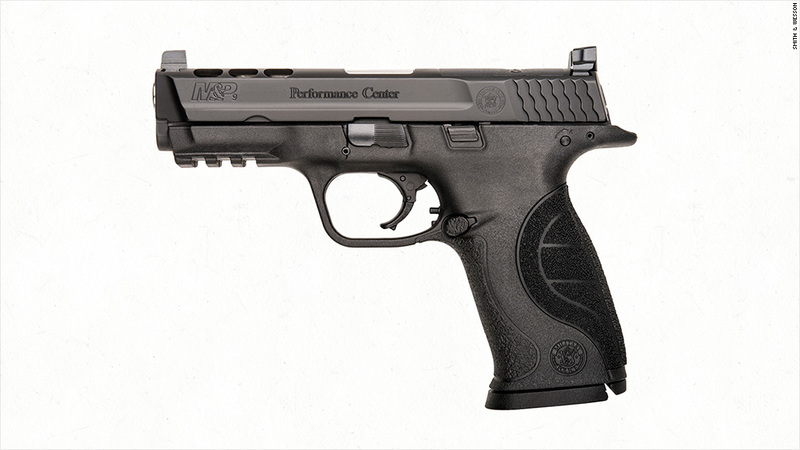 Smith & Wesson is entering the M&P, a popular pistol pictured here, into the competition. Smith & Wesson seems to believe the Army would want to go plastic. The company says that its polymer M&P pistol is a good fit for the U.S. Army, which is looking for "a new modular handgun system that can be easily adjusted to fit all hand sizes." Polymer pistols have become increasingly popular as lightweight and ergonomic, particularly among women, a fast-growing demographic among gun users.